Schematic Of An Electronic Gay Aversion Therapy Device, 1971. 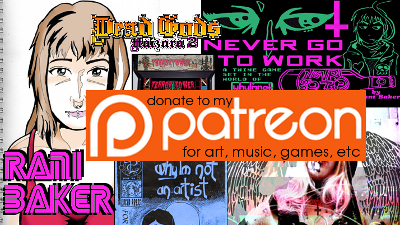 | Rani Baker Digs You. Schematic Of An Electronic Gay Aversion Therapy Device, 1971. I can’t really find much background for this specific image (that I found in this Buzzfeed article), but I found it interesting. If it’s hard to make out the labels, it appears to be a control unit running a pair of slide projectors (one full of images of naked men, the other full of images of naked women) and what looks like a randomizing engine to decide if electric shocks would be applied to either the left or right leg (presumably to keep the subject unprepared). It’s kinda eerie. 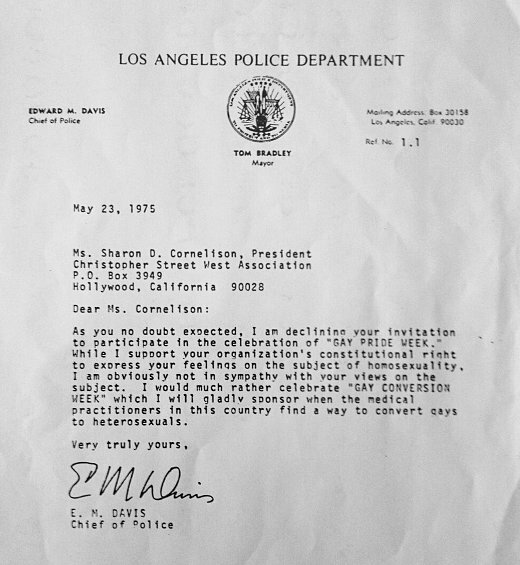 This is an letter sent by notoriously homophobic LAPD chief Edward Davis in response to being invited to Gay Pride Week in 1975, where he responds that he’d rather advocate for “Gay Conversion Week”.